The demands put forward by the International Monetary Fund (IMF) which require that Greece legislates now for measures that will be implemented after the end of the current bailout program are side-lining democratic values, Finance Minister Euclid Tsakalotos said on Thursday, after a Eurogroup meeting in Brussels. “You cannot request a country to legislate for what it will do as of 2019. In this way, European and democratic values are side-lined,” the minister said, noting that this would commit future governments of a European country. 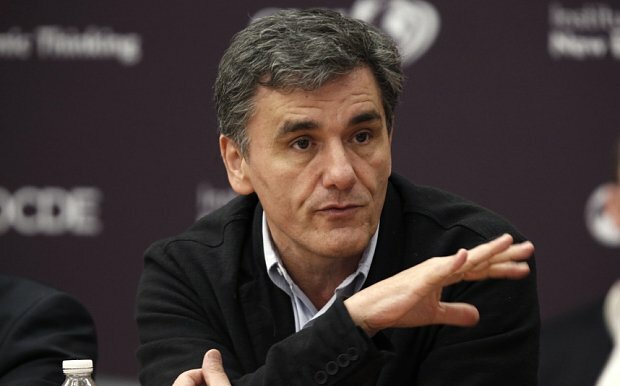 Speaking about the meeting, Tsakalotos said all participants recognized that Greece has made great progress and that the Greek economy can achieve growth. “In all the meetings, we found common ground. Greek growth is doing much better than many expected,” he said.